The Navigator 85 is, for us, the pick of the Navigator range, strong and powerful when you need them to be yet subtle and understanding of those "not quite right" moments. We found them very smooth with an excellent edge hold which made for some almost effortless skiing if you were looking for a really laid back run. However, when you felt like really winding them up and letting go they were never found wanting and would tackle varying piste condition as well as side stash runs with aplomb. With an emphasis on versatility, the Navigator 85 is at home anywhere. Inspired by our award-winning Enforcer, the Navigator offers legendary, on-trail performance. For exceptional edge hold and response, its Hex Bridge construction pairs a full wood core with a lightweight matrix of metal. In addition to boosting confidence and stability, this design reduces vibrations and chatter for a smooth ride. 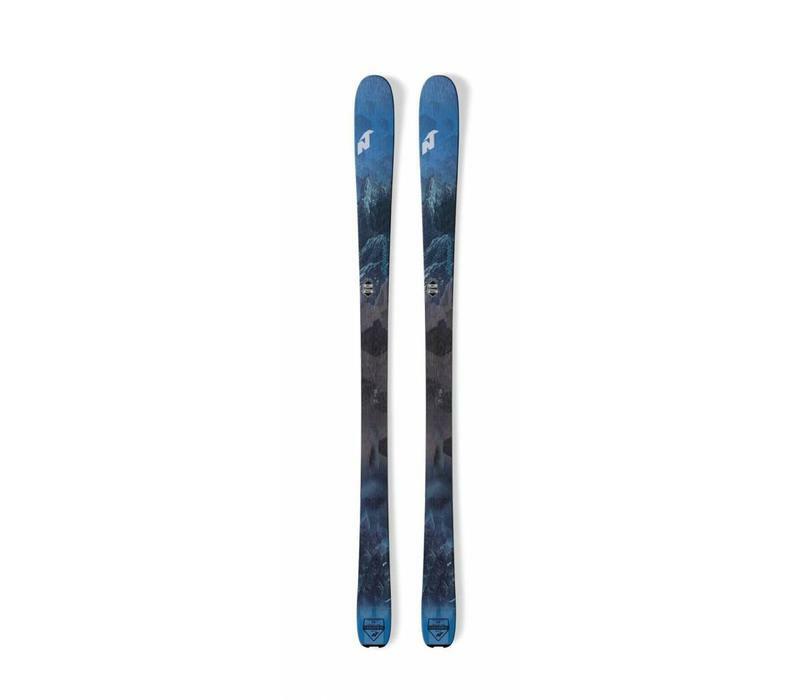 The Navigator’s early rise tip makes it easy to manoeuvre in soft snow and readily absorbs bumps while its classic, squared-off tail shape enhances edge hold and aids in transitioning between turns. And its 85mm waist is especially versatile, making it the perfect daily driver for those who spend most of their time on trails. Access every run with the Navigator 85.